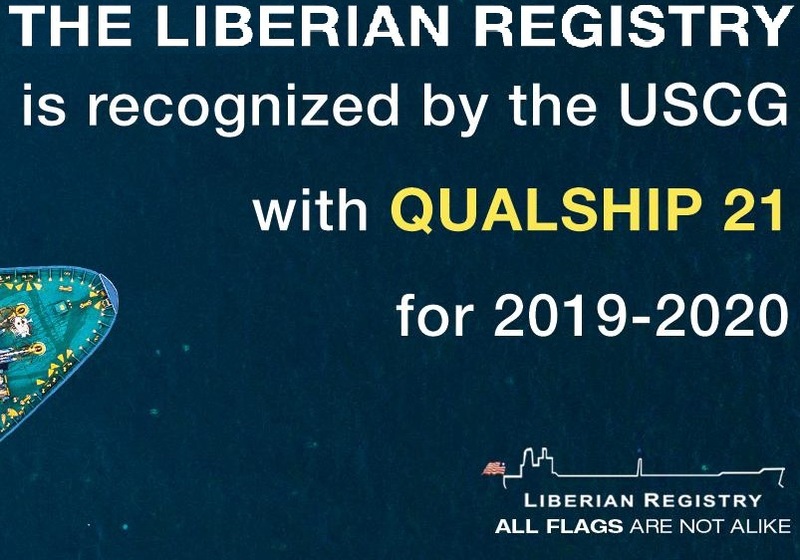 The Liberian flag has been included in the United States Coast Guard’s (USCG) QUALSHIP 21 (QS21) roster for 2019-2020. QS21 recognizes vessels and flag states which have successfully met specified safety and quality requirements and regulations when calling at ports in the United States. To qualify for QS21, flag administrations must have a three-year Port State Control (PSC) detention ratio of less than 1.00% and be credited with 10+ PSC exams per year for the last three years. QS21 status brings advantages to vessels visiting the US. 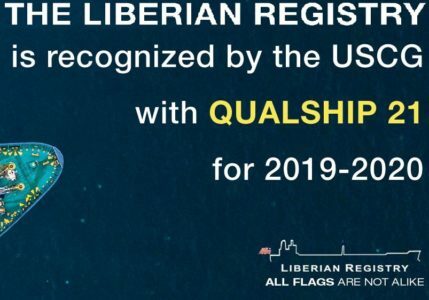 Liberia and 8 other maritime nations were all new additions to the QUALSHIP 21 (QS21) & E-ZERO list this year. Alfonso Castillero says, “The number of new additions to QS21 in 2019-2020 is fantastic recognition of the work that maritime administrations, owners, and crew have put into safety initiatives. It is also a testament to the efforts of the US Coast Guard, who are often overlooked when it comes to handing out praise.